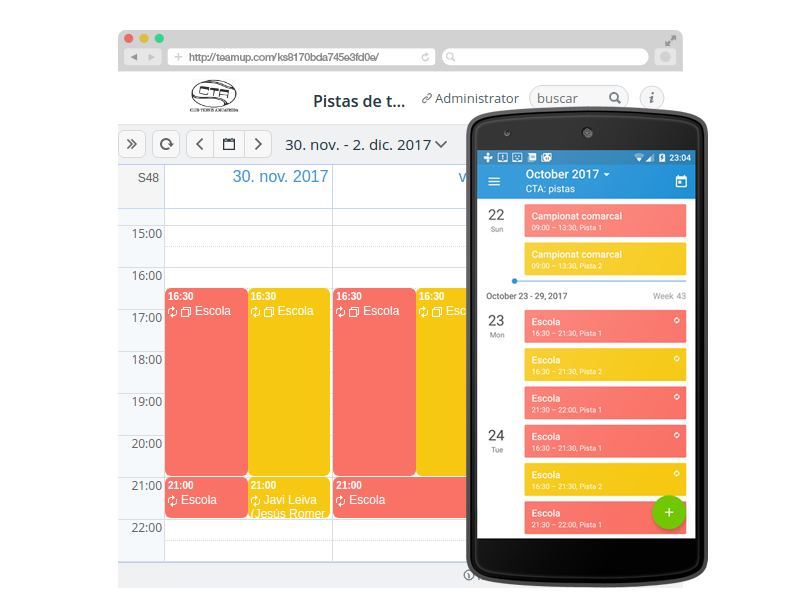 A story of how a tennis club in Spain uses Teamup to handle tennis courts reservations and general availability. A few months ago at our village tennis club, we were looking for a new system to allow our members to book and unbook courts and consult general availability. We’ve used other systems in the past but without total success. Most systems are too complicated, have too many options, are not multilingual, have bugs, do not have a native mobile app, and cost too much. Teamup has been a revelation to us. We are using a free account at Teamup and it works much better than other paid services. The mobile app is perfect for our users and it’s available in Spanish. The desktop browser version is easy to use for administrative functions. It’s so easy to add new users! It’s completely reliable. We now run a totally decentralised booking system, with effective control of each user’s privileges and no unnecessary fuss. We have had no complaints at all. The app works just how you’d expect. It takes only a few seconds to create a new user profile and send a link to the person concerned. They just download the app and start using it! 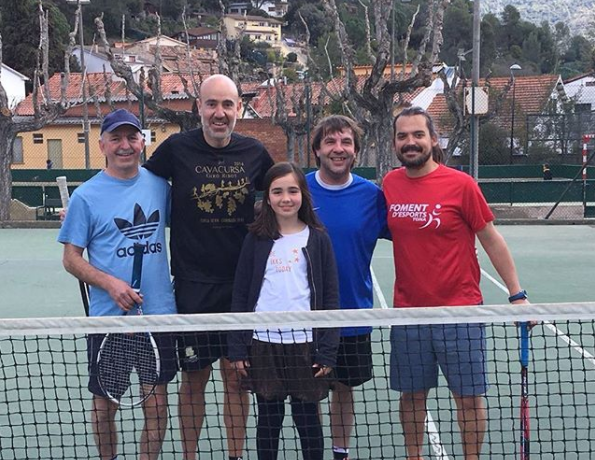 This story was contributed by Richard Samson, Club Tennis Aiguafreda, Spain — Thank you Richard!